Step into the heart of the Kimberley with unforgettable experiences with Bungle Bungle Guided Tours. Without a doubt, anyone visiting the Kimberley needs to put the Bungle Bungle Range on the top of their must-do list. Located in the World Heritage Purnululu National Park, the 350-million-year-old Bungle Bungle Range is home to iconic and fascinating striped sandstone domes, as well as stunning gorges with amazing walking trails. Aviair, Bungle Bungle Guided Tours and Bungle Bungle Savannah Lodge have created the most unforgettable tour to this magical site. 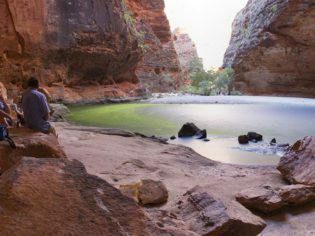 The tour includes a flight to the Bungle Bungle, which allows you to see the Purnululu National Park from above; a hike through Piccaninny Gorge, one of the most remote areas of the park; and an overnight stay at Bungle Bungle Savannah Lodge. Departing from Kununurra, your stunning scenic flight will pass over rugged and vast Kimberley landscape to Purnululu National Park. Here, you will meet with your local, Aboriginal tour guide, and together you will take to the air by helicopter right into the heart of the Bungle Bungle Range, landing near Piccaninny Gorge. Hike around 10 kilometres into the gorge. This tour is best suited to those who have a high level of fitness and are comfortable with challenging bushwalks (read on for information about an easier option). Few others have visited this section of the park, so you’ll be required to create your own path at times, trekking along sandy slopes and rocky creek beds. After your day of exploring, the helicopter will whisk you back to the airstrip. Relax at the bar at Bungle Bungle Savannah Lodge that evening and share stories around the fire over dinner. Sleep under the Kimberley stars in super comfy beds, before returning to Kununurra the following morning with Aviair, flying over the Argyle Diamond Mine and Lake Argyle. Less experienced hikers can fly into Purnululu National Park with Aviair on the same scenic flight as the intrepid hikers, but enjoy a series of easier walks through the famous beehive-shaped sandstone domes, Cathedral Gorge, and the breathtaking Echidna Chasm. 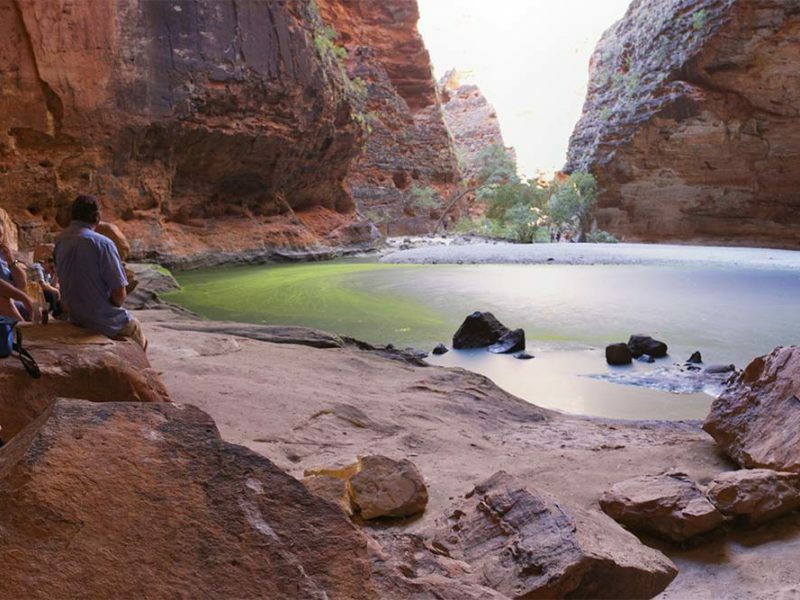 You can do these walks over several days, relaxing at Bungle Bungle Savannah Lodge each night. Soar over the rugged and vast Kimberley Landscape right into the heart of the bungle bungle range.